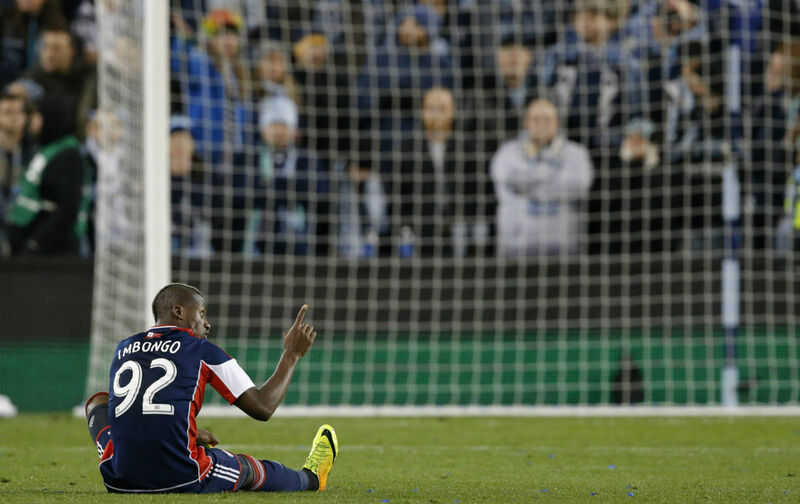 Players, fans and the long-term success of MLS lose in the new collective bargaining agreement. It didn’t have to end this way. The Major League Soccer Players Union did not organize to win its labor dispute with the league’s ownership, and now players and fans will have to live with the results. With the official start of the season less than forty-eight hours away, the MLS Players Union, which repeatedly stated its willingness to strike for free agency, buckled and signed a crap deal. Yes, there is now “free agency,” but only for players 28 years or older who have already accrued a staggering eight consecutive years of MLS experience. This will benefit a fraction of players in a league where the average age is 28 as many come to MLS from leagues across the globe. Free agency should be an incentive to draw young stars to MLS. This accomplishes the opposite, locking in a structure that protects bosses and aging superstars looking for one last payday. Also in the CBA, it was established that the minimum salary would be raised to just $60,000 a year. This in a league where some franchises are listed as being worth as much as a quarter of a billion dollars. It’s a bum deal and it did not have to happen. Twenty-four hours before the CBA was signed, team reps voted 18-1 (with one abstention) to strike. Yet with Friday’s opener looming, the union leadership caved without consensus to do so, and seven of the twenty reps voted to refuse the terms. This is what happens when you have a rank and file ready to strike and a young union leadership looking like Bambi’s mom and pop staring into the headlights. The union, meanwhile, operating from offices in Bethesda, Maryland, did not look ready for prime time. While the news of a possible strike was roiling the sports media landscape and the extensive world of soccer social media, its website was absent of any updates, perspectives, or explanations as to why it was making this stand. Its website’s “press release” section hadn’t been updated since 2014. Its “in the news” section included no news articles about anything related to the negotiations. And most puzzlingly, as player reps spoke publicly about their willingness to sacrifice the entire season in the name of the principle of free agency, the union homepage was a 2015 season preview. In addition, there was zero effort by the MLSPU to reach out to the league’s electric ultra fan clubs who undoubtedly would have supported the players in numerous cities. Imagine the District Ultras, the Sons of Ben, the Timbers Army, Tribal Rhythm Nation, Sektor Latino, the Kings of the North—to just name a few—holding their vibrant, colorful rallies outside the offices of management demanding that they settle. Any union going into a negotiation battle could only dream of such a set-up: a contract campaign of public support that’s not only pre-organized but would be catnip for a soccer sports media twiddling their thumbs looking for something to cover. Would this have worked? According to our own queries, some would have absolutely answered that call. But the players union made no overtures and would not respond to our questions as to why. The results are there to see. One could imagine Marvin Miller in heaven, arms crossed with steam coming out of his ears, saying the labor mantra, “If you want to avoid a strike, you damn well better prepare for one.” The union didn’t and until 2020, the players, the fans and the future prospects of the league are the big losers. The penny wise, pound foolish, parsimonious, pig-headed plutocrats in power won the day, and we are all worse for it.